Explore the dimensions of a boundless discipline. Study some of the physical world’s most inscrutable mysteries and examine the laws of motion and energy inherent in everything we do. Our physics program will feed your curiosity and sharpen your analytical abilities. 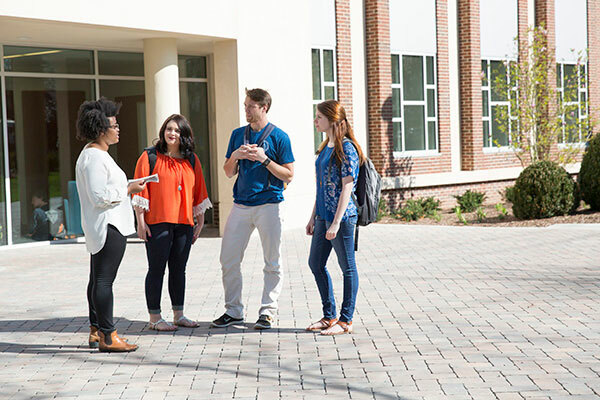 We provide a firm academic foundation in an environment that nurtures your faith, a close-knit community where lifetime relationships are developed. You’ll hone your craft under the mentorship of brilliant faculty and work alongside peers who challenge and support you. Scripture tells us we are “fearfully and wonderfully” made—and few know that better than a physicist! Pretty deep language for something that absolutely rules daily life (like the fact we walk on the ground rather than float hither and yon). Investigate the principles of physics with a high regard for creation’s God-given wonder, complexity, and amazing power. Physics is the fundamental study of motion and energy, principles which underlie literally every process in the universe. Our physics courses are designed to give you a background in mechanics, electromagnetism, thermodynamics, quantum physics and relativity theory so that you can pursue graduate work in physics or careers in the technical/scientific industry. Physics teaching majors will receive core and specialized professional education in addition to the general education required of secondary and K-12 teacher education students. MA 1314 - Calculus I (4) F, SP, SU, must be taken during the fall semester of the freshman year in order to enroll in PH 2414 in the spring semester. Otherwise, completion of the program may require more than eight semesters. Students who are not eligible to begin the calculus sequence should consider enrolling in MA 1123 in the summer session. Physics Teaching, B.S. or B.A. Omit CM 1013 and PH 1013. BY 1003 is included in specialization subject matter. ** BY 1134 or BY 1144 may be substituted for BY 1003. Eighteen hours chosen from departmental offerings in physics with approval of the academic chair including at least 6 hours in physics courses numbered above 3000.